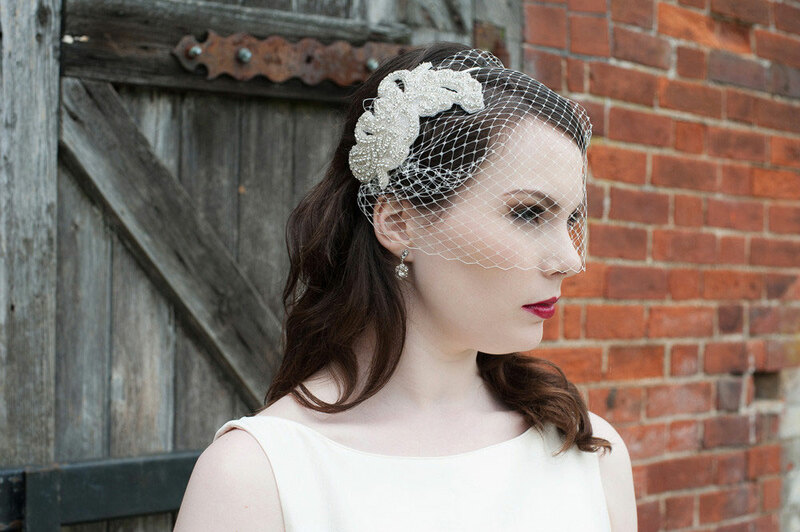 Beautiful Vintage style Lauren hairpiece. This comb is covered in rhinestone crystals in a delicate design and set onto a 11cm silver comb. Also available in a clip or hairband. All veils when ordered with a comb will come on simple clips as a 2 piece set. This product was added to our catalog on July 17 Wednesday, 2013.